Care: For optimum safety and to maximize burn times, trim wick to 1/4" before relighting; always place your candle on a fireproof surface or holder; keep lit candles out of drafts. 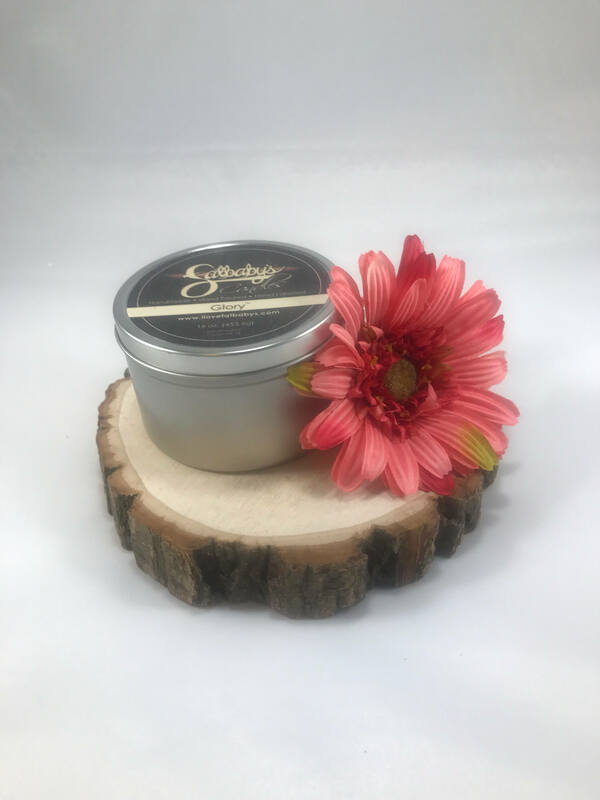 Our candles are made from the highest quality soy/paraffin blends and infused with the finest quality ingredients that deliver "true-to-life" scents. WARNING: Failure to follow instructions could result in a fire or injury. Always place your candle on a fireproof surface or holder. Do not exceed 1 hour burning at a time. Do not reuse, refill, or allow matches, wick trimmings, flammable materials to collect in the candle wax. Keep away from things that catch fire, children & pets. Burn on heat safe surface. Keep wick centered and trim to 1/2" while lit. Avoid drafts. Never touch or move a hot candle. Stop burning when 1/4" of wax remains. Extinguish carefully, do not use water. Store in cool dry place. Never leave burning candle unattended. Keep away from drafts.